Montreal's Marymount Academy will share its facilities with 66 additional students from a nearby private school, despite opposition from some parents and teachers. The decision was made Friday night during a special meeting of the board. The public high school, on Côte Saint-Luc Road in the Côte-des-Neiges–Notre-Dame-de-Grâce borough, already shares its building with about 135 Centennial Academy students in grades nine, 10 and 11. 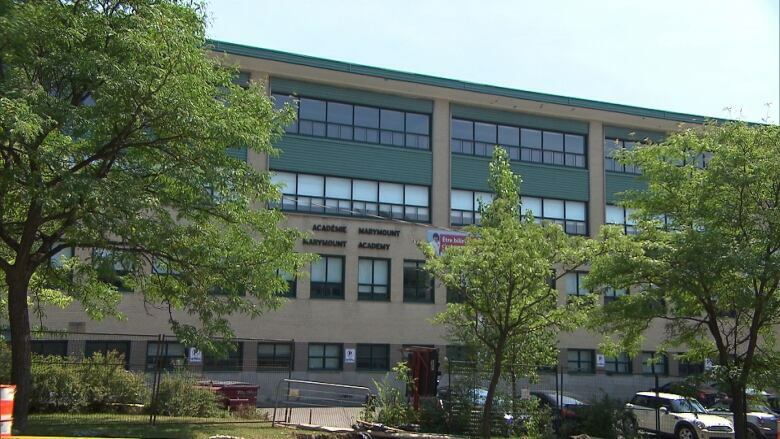 The English Montreal School Board (EMSB), to which Marymount belongs, was paid $300,000 for space in its schools by Centennial, according to EMSB director general Ann Marie Matheson. Francine MacInnis, chair of the Marymount Academy School Governing Board, opposed the move and said that she was concerned about the use of resources by their own students. A vote on the issue was attempted about two weeks ago, but not enough commissioners showed up to vote on the proposal.